Dr. Marjon Jahromi has been a practicing dentist anesthesiologist in Southern California for the last 14 years and has performed thousands of anesthetics during her professional career. She is experienced in providing anesthesia services in various settings including private offices, surgical centers and hospitals. She graduated from the prestigious University of Michigan School of Dentistry in Ann Arbor, MI in 2001 and completed her dental anesthesia residency at Loma Linda University Special Care Dentistry and Riverside County Regional Medical Center in 2003. Dr. Jahromi received her Diplomate status of the National Dental Board of Anesthesiology in 2004. 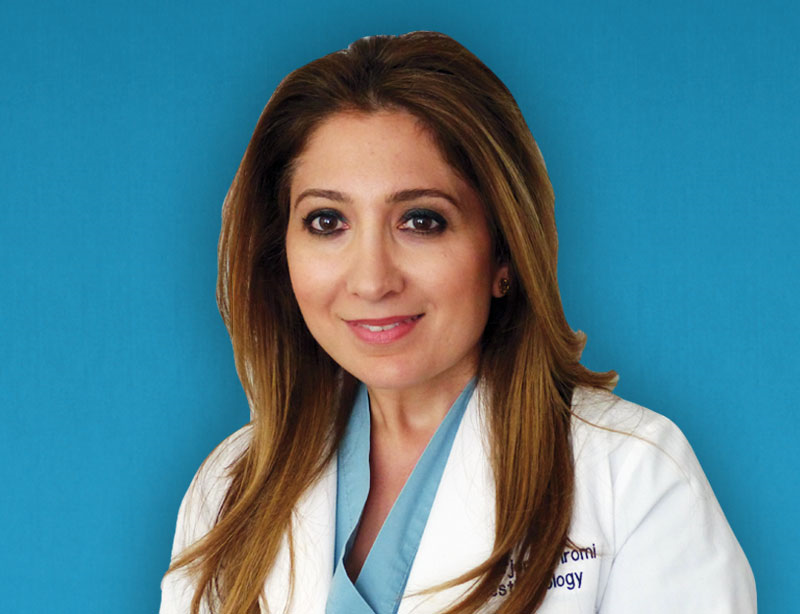 During her 11 years as an Assistant Professor and Attending Anesthesiologist in the Dental Anesthesia Dept at Loma Linda University School of Dentistry Dr. Jahromi treated a wide array of complex medical and surgical cases. She is excellent at providing all levels of sedation and will customize the anesthesia to meet the unique needs of your patient so that you can focus on the surgical procedure, making the patient comfortable and relieving your stress as well. Dr. Jahromi will provide safe and convenient anesthesia services in the comfort of your office. Intravenous sedation and/or general anesthesia will provide total relaxation, erase memory of the procedure and allow even the most anxious patients to be treated successfully. As part of your dental team, Dr. Jahromi will conduct a complete review of the patient’s medical history, consulting with the patient’s physician if necessary. She may even prescribe an oral sedative for extremely over anxious patients. On surgery day, she will provide all the necessary equipment to simulate an operating room in your dental office. She uses the most advanced, ultra-compact hospital grade monitors and anesthesia equipment. As a result, patients emerge from anesthesia quickly and are ready for discharge in less than 30 minutes feeling comfortable and pain-free.